A cloud server hosting company gives opportunity to buy resources that help in customization and also comes with innumerable functionalities that are gained through network in a similar manner that is offered through traditional hosting solution. It is possible to avoid all kinds of hassles that are related to hardware and minimal maintenance is required. For a cloud server, a monthly fee is paid to company. HostForLIFE.eu is one such company that can deliver performance and dedication to your family of websites with Cloud Server. But before you know whether or not a cloud server is needed, you must know what one is. Cloud server give your site, or family of sites, all the resources necessary to navigate technical issues and keep things running smoothly. Instead of sharing personnel, infrastructure and storage space with a pack of unrelated sites, you have the freedom to control operation and mold the server to meet your needs. This can be beneficial in a number of ways. A dedicated Cloud server has its own processor, Random Access Memory (RAM) and bandwidth capability. Dedicated Cloud servers allow you to install and run almost any program. They additionally allow other users, whom you have given access, the ability to connect to your dedicated Cloud server and use those same programs at the same time you do. This has made dedicated servers very popular amongst internet gamers. Dedicated cloud servers offer all the same features of regular dedicated hosting servers but they are intended for less serious pursuits. According to the need of clients, Windows platform such as Windows Server 2008/2012 is rendered if using Visual Basic scripts, Active Server Pages (ASP.NET ) or Microsoft Access or Microsoft SQL database. Other important factor to be focused for rendering web hosting services is the disk space and bandwidth required. HostForLIFE.eu cloud server solution with 8 GB RAM, 2x500GB Storage Space, 5000 GB Bandwidth, 1000 MBps Connection speed with Netherlands Data Center or US Data Center. Also, dedicated Cloud Server can keep you safe from the hazards of the web. Spyware, viruses, worms, and other nasty sounding names are waiting for an opening, planning an attack on your site that will set you back in more ways than one. If your users sense that a website has inadequate protection, it will make them think hard about returning. Hackers may also try to break in and steal financial information if you use your website for commercial purposes. Keeping the predators at bay means having a knowledge of all the latest security measures and how to implement them. Or you can just sign up for a dedicated server and not worry about it. The most important feature is that you can possibly get true value for money. You need to pay same amount as that of basic shared hosting and can get set of features that is found in a dedicated server. Cloud solution is the only way through which it is possible to save a good sum of money and enjoy different features that is necessary for business.Cloud server comes up with no downtime and this means that you will never experience error page regarding website and it always get loaded in different browsers when customers or viewers want to check. The downtime in this regard does not last for more than a few seconds and it is an amazing feature. Next advantage is related to adding and removing of servers at any point of time and can instantly scale up solutions. It can be that you may in need of another server, which will help to handle large amount of traffic and once it is settled it is possible to scale down the server. It has turned out to be a useful user for people who are making use of cloud computing. For most people what is in short supply is time. On this point a cloud server scores above dedicated servers. Cloud Server provide the highest level of security just like a dedicated cloud server, complete with customizable firewall protection and secure isolated disk space along with the benefit of sharing the cost of the server with other users yet reaping the benefits of the dedicated cloud server. All resources can be regulated in the Cloud Server environment. One customer can not run away with a large share of the resources. Your service will run reliably and predictable. Unlike a shared server, Cloud Server allows you the control of the server. You can choose the software you want to install, RAM, processor etc. 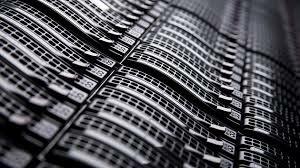 Dedicated cloud servers can consume time because the creation of back up takes time. Cloud servers face immense pressure as the number of clients can balloon and go out of control. But that does not happen in dedicated servers as the numbers are manageable.